Hello! 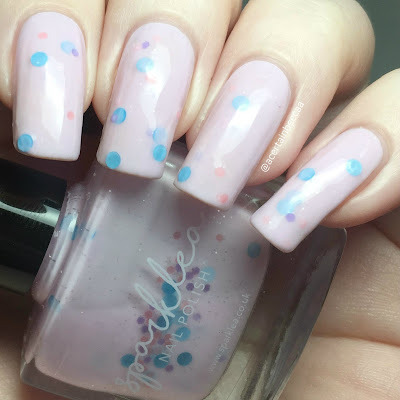 Today I'm back with swatches of a brand new trio from Sparklea Nail Polish. This springy trio consists of three glitter crellies, each one with a light base colour and a variety of metallic glitters. I'm definitely over the cold weather now and hoping for some slightly warmer days, so these are perfect for my current mood. Read on for my full swatches and more info! I want to mention the formulas now as all three are very similar. They are smooth and easy to apply, and the glitters distribute nicely without much manipulation. They do start off sheer - both due to the soft colours, and to ensure the glitters can be seen. I found applying slightly thicker coats worked for my longer nails, and helped me get each one opaque in three coats. I also left my bottles upside down shortly before applying to avoid needing to fish for glitters. 'Caldwell' is a soft yellow base with small silver glitters, blue squares, hot pink circles, and a few larger light pink hexes. Below is three coats with topcoat. 'Lavernia' is a soft pink base with small silver glitters, purple and copper hexes, and larger blue circles. Below is three coats with topcoat. 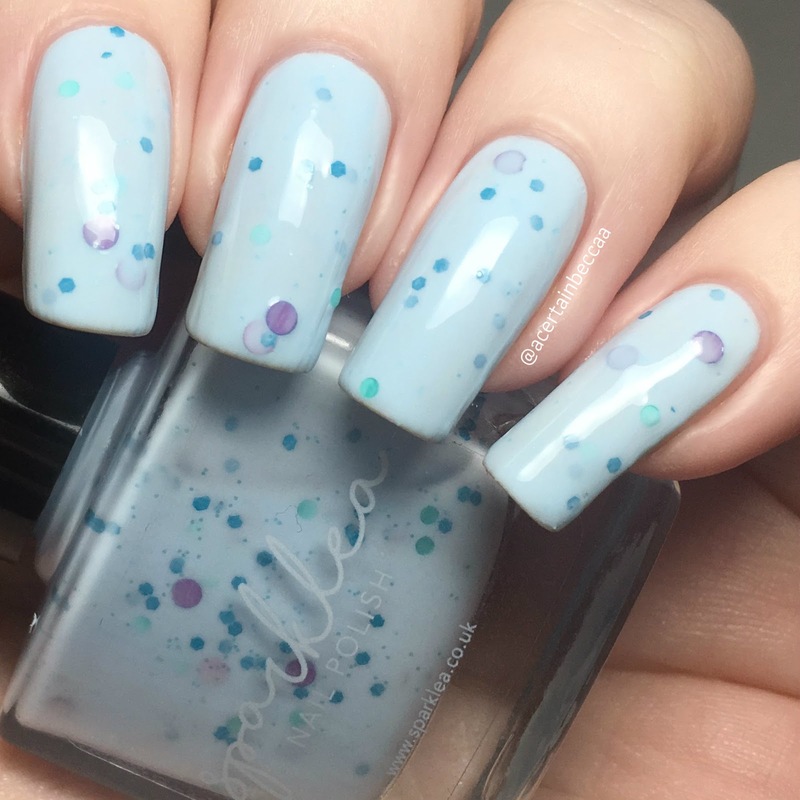 'Attwell' is a soft blue base with small blue glitters, blue hexes, green circles, and larger purple circles. Below is three coats with topcoat. What do you think? All three are so pretty, and they are absolutely perfect for both Spring and Easter. I do love a good glitter crelly! 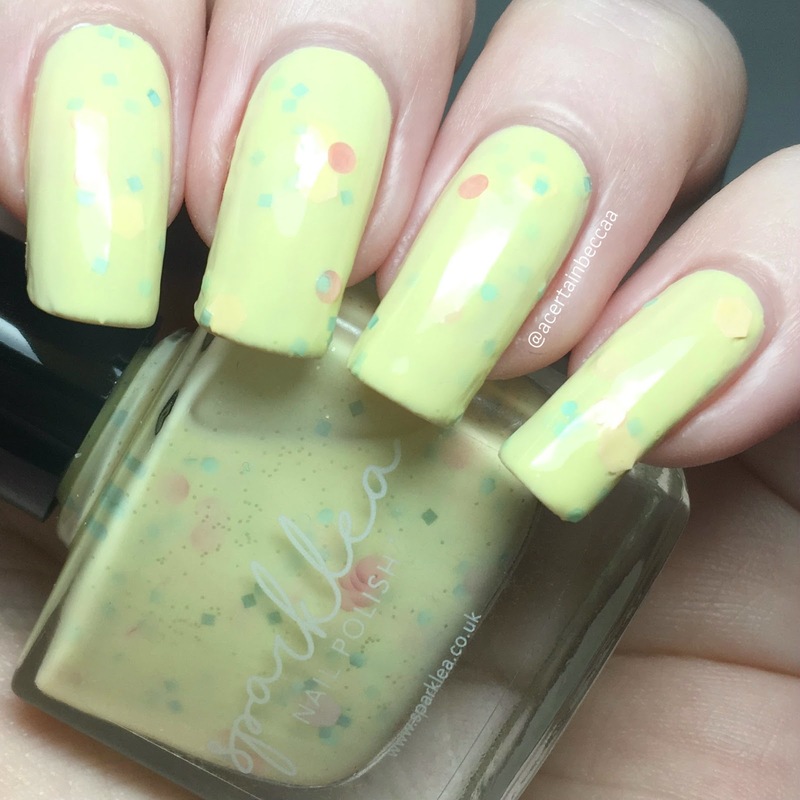 It's hard for me to pick a favourite, but there was something about 'Attwell' on my nails that just drew me to it. I'm still wearing it now! 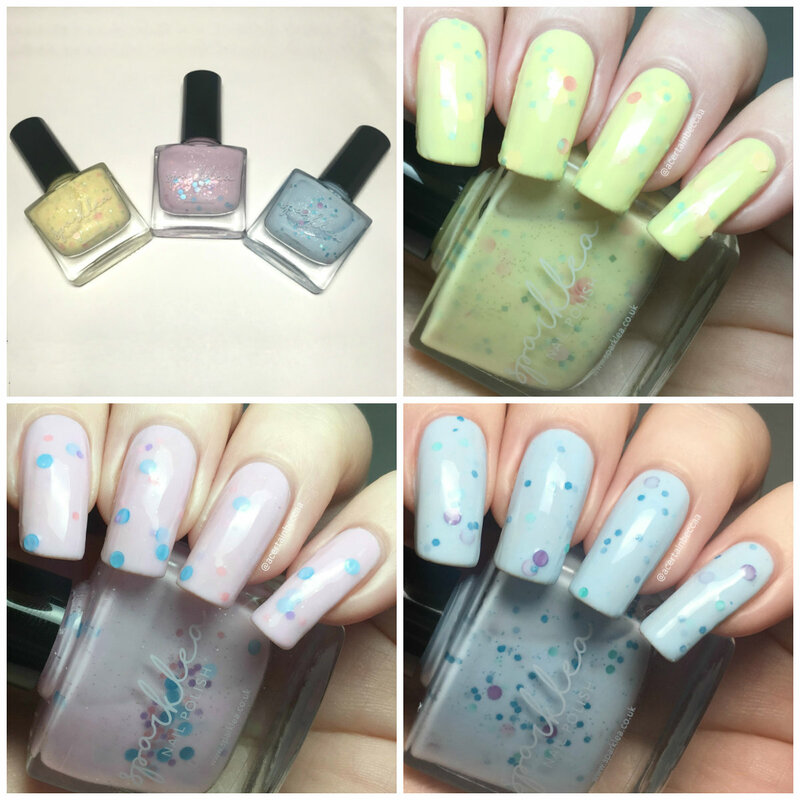 All three spring crellies will be available on the Sparklea Nail Polish website here this Wednesday at 8pm, along with the Hatchlings Collection.